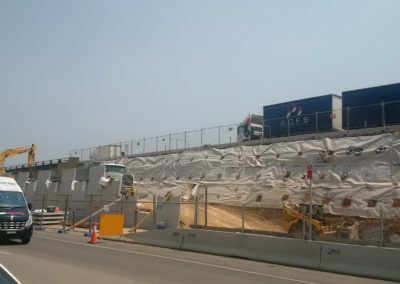 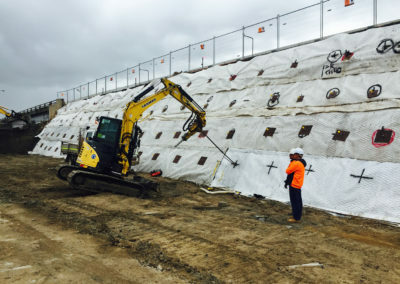 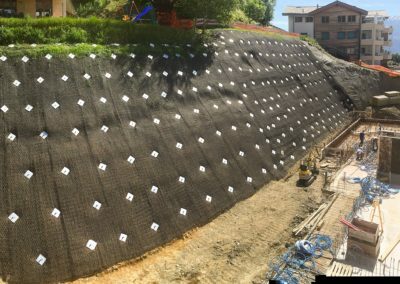 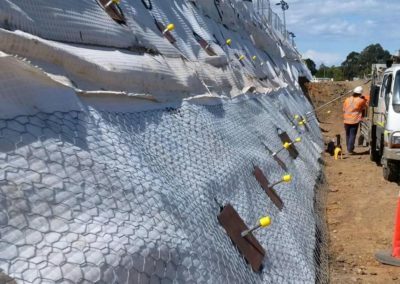 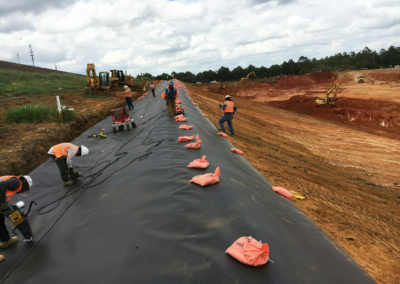 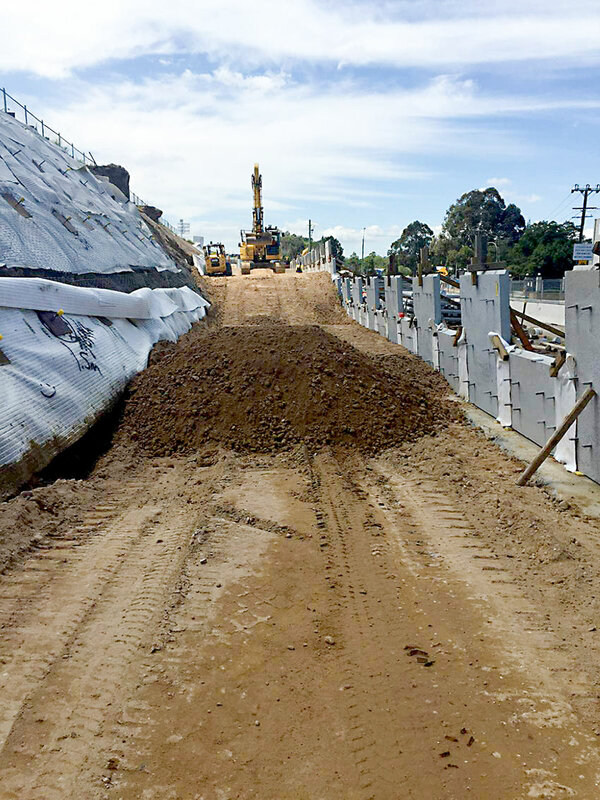 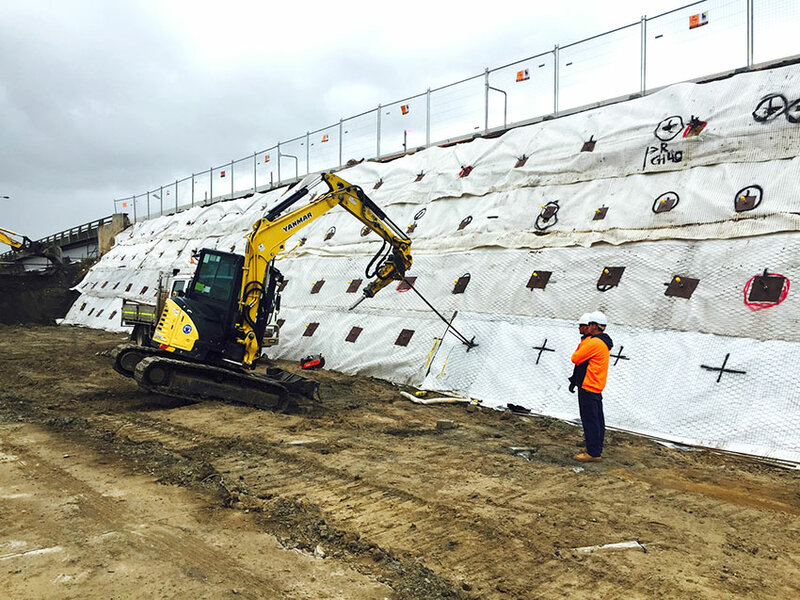 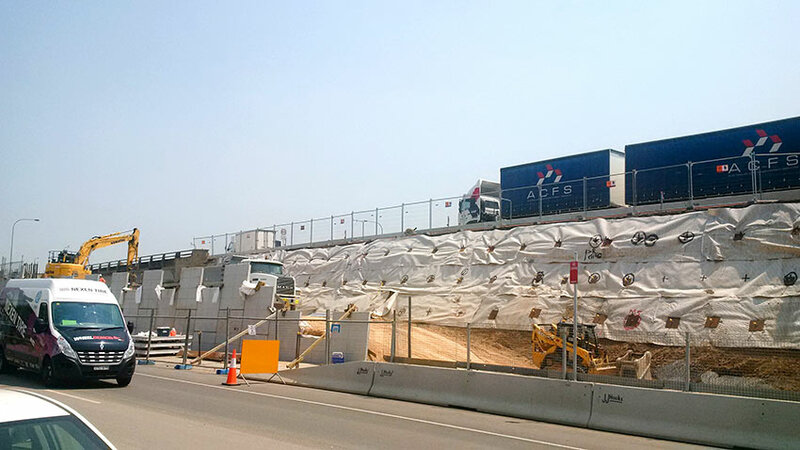 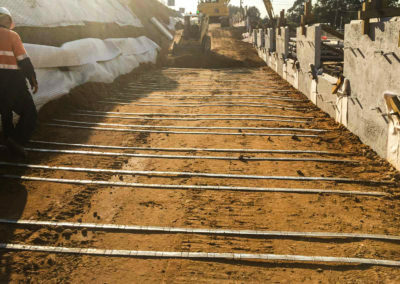 An 11m (36ft) high steep slope supporting the M4 Motorway required stabilizing as part of the WestConnex infrastructure project which aims to reduce the journey time between Sydney Airport and Parramatta. 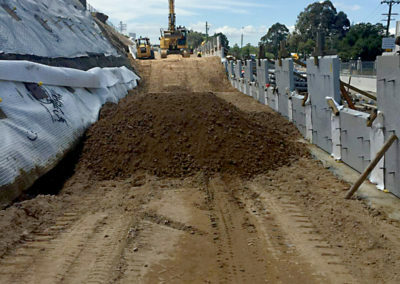 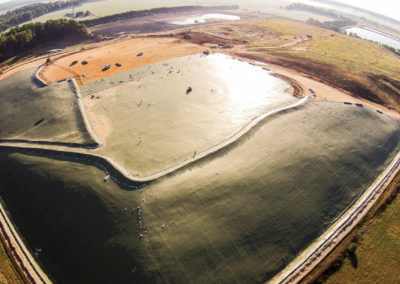 7.5km (4.7 miles) of the M4 Motorway is being expanded to 4 lanes and a temporary works embankment was used to enable the construction of a permanent concrete panelled wall. 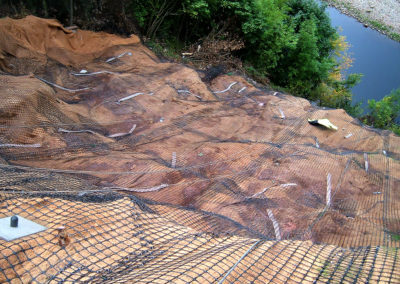 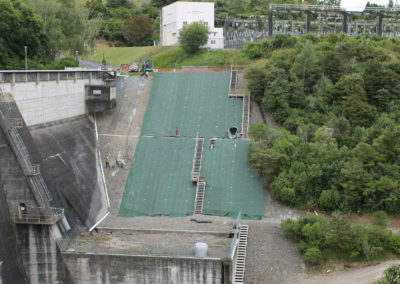 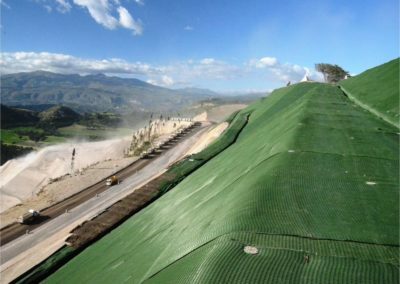 The Platipus Percussive Driven Earth Anchor (PDEA®) stabilized the temporary embankment using B6 and B8 anchors driven to 8m (26ft). 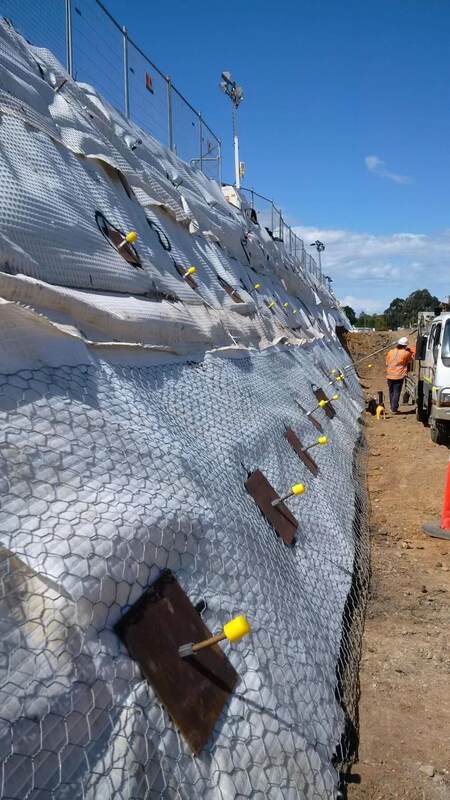 Cirtex Australia provided both design and installation support. 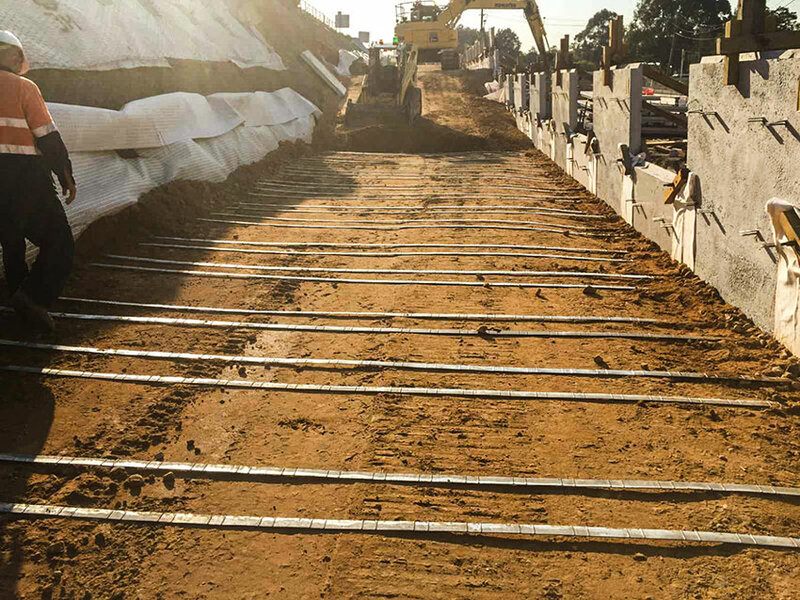 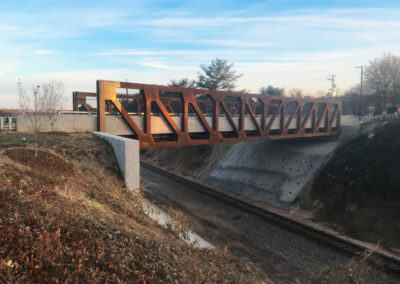 The Platipus anchors were installed using locally available equipment and were loadlocked and set with immediately quantifiable loads offering significant cost savings to the contractor and client over alternative methods.